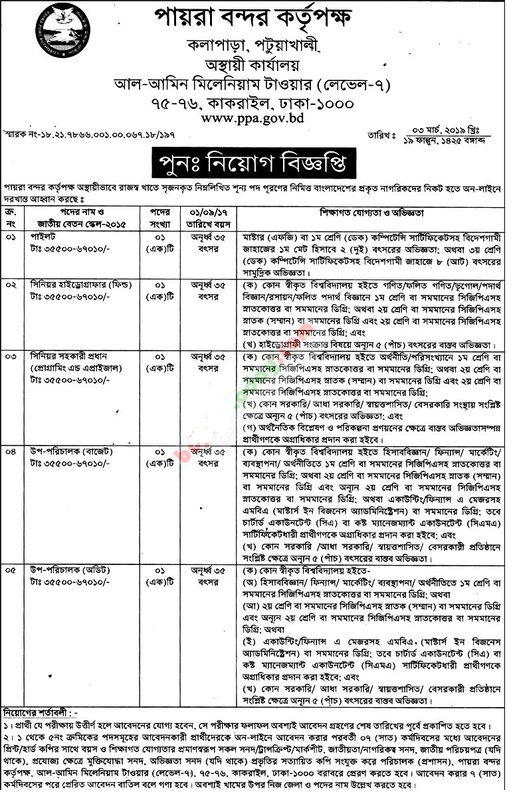 Payra Port Authority PPA Job Circular 2019 has been published on daily newspaper. 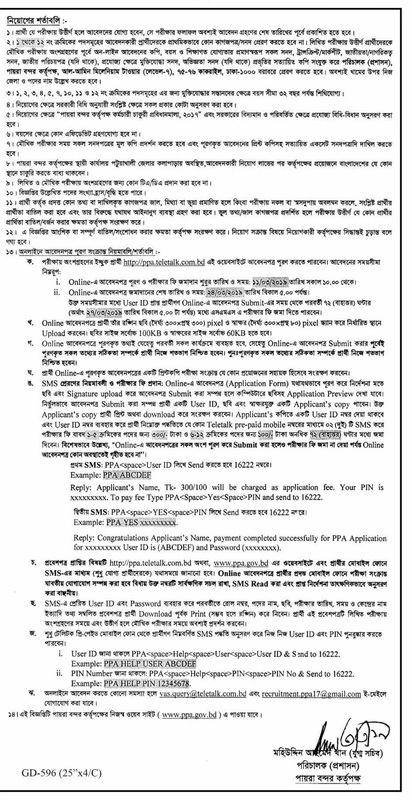 Payra Port Authority PPA job circular 2019 also published on our website jobs.LekhaporaBD.com. If you are a job seeker and interested candidate in PPA then you can check this job advertisement. We will update all the latest circular of Payra port authority here. 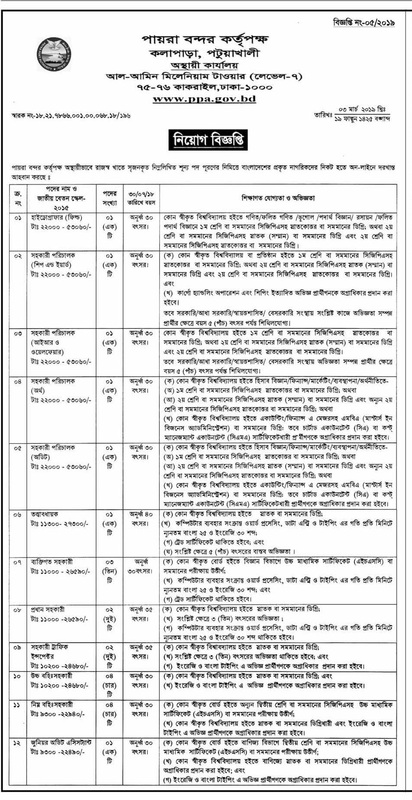 So you can visit this post regularly to get Latest / recent recruitment notice of Payra Port Authority. Under Mid Term Plan, by 2019 Govt is going to operate the port with at least one multipurpose and one bull terminal where deep draught vessel with upto 12m can berth safely. Under Long Term Plan, by 2023 the port would be fully operational with a 16 m channel where minimum 10 km container & other terminals with all other associated facilities like establishing EEZ, Air port, Port city, Dockyeard/Shipyard, Echo Tourism etc centring to the port. PPA’S objective focuses mainly on providing necessary services and facilities to the port users efficiently and effectively at competitive price. Though PPA started its limited scale port operations by offloading bulk cargoes at inner/outer anchorage, with the passage of time PPA is going to handle maximum volume of container and bulk cargoes of Bangladesh using the geographical advantages, good hinterland connectivity. Payra Port Authority PPA Job Circular 2019 has been given bellow.